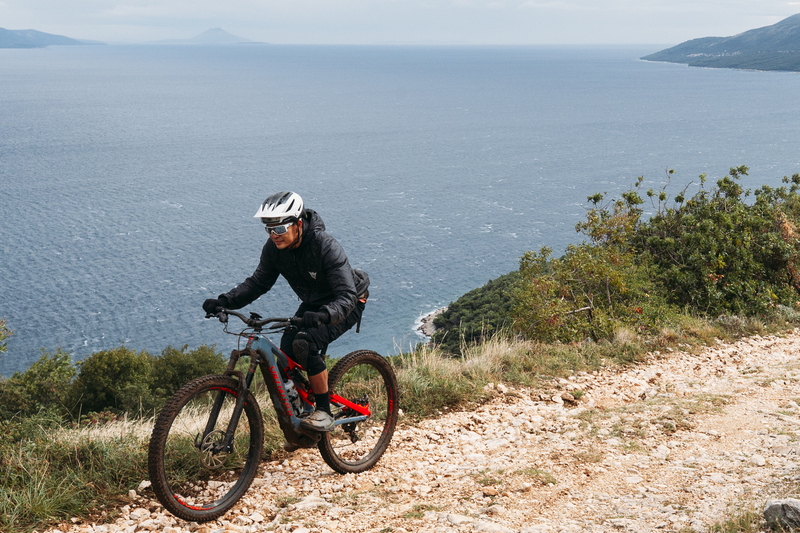 Three years ago, the Specialized Turbo Levo e-bike was introduced with 140mm of travel, plus tires, and a motor assist system that was better and more integrated than the competition. Three years later, the Turbo Levo is still very relevant — but the competition has caught up. 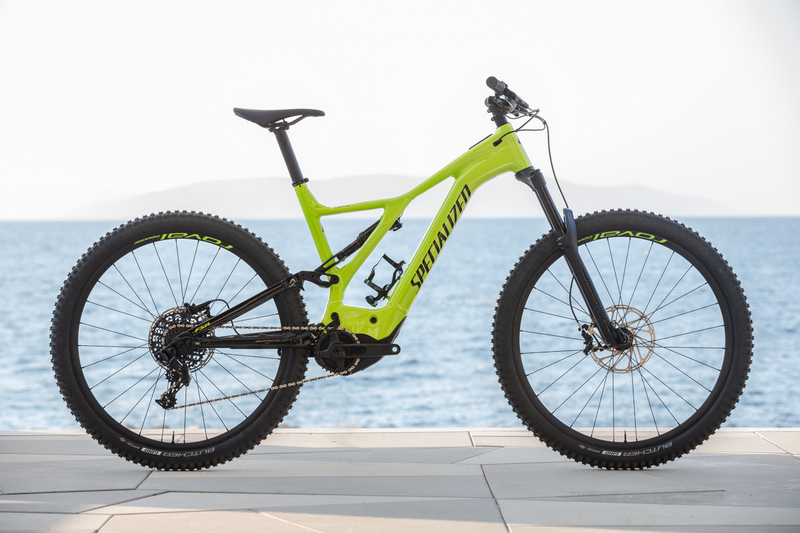 The 2019 Specialized Turbo Levo is v2.0 of the landmark bike and it addresses three years of ideas, suggestions, and complaints about the previous model. A team of 19 engineers worked on this project. What they came up with is a special bike. 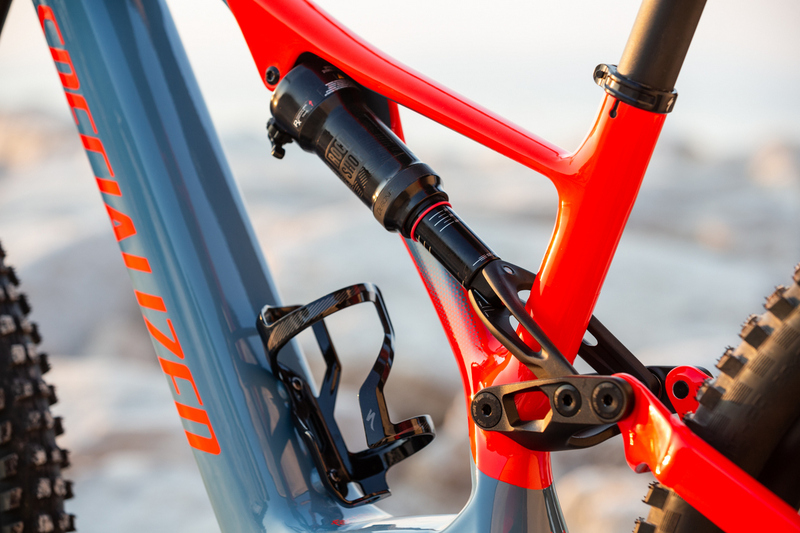 It is a 150mm travel 29er based on the new Stumpjumper. 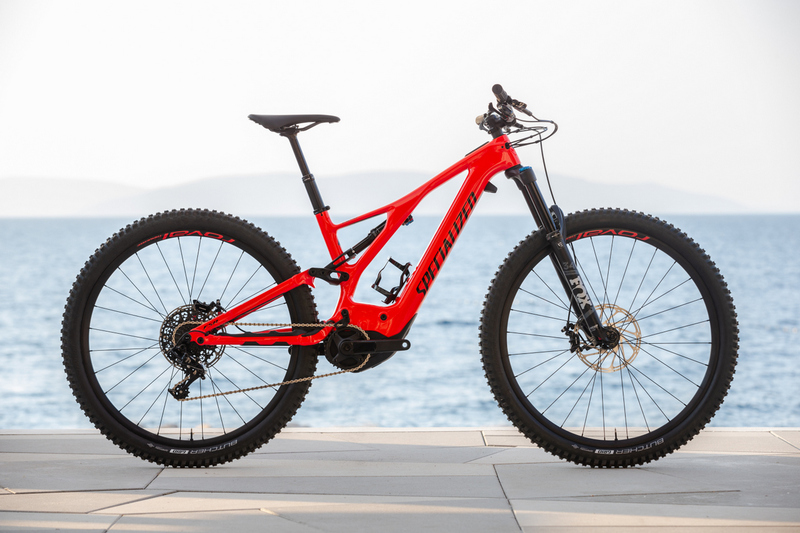 It is significantly lighter than the old Specialized Turbo Levo and has much-improved battery capacity. 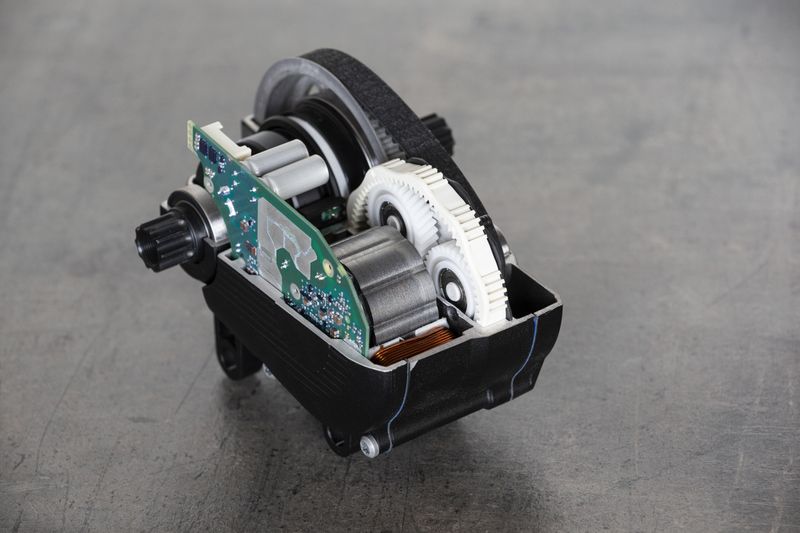 It also has a powerful motor with much better controls, electronics, and overall integration. 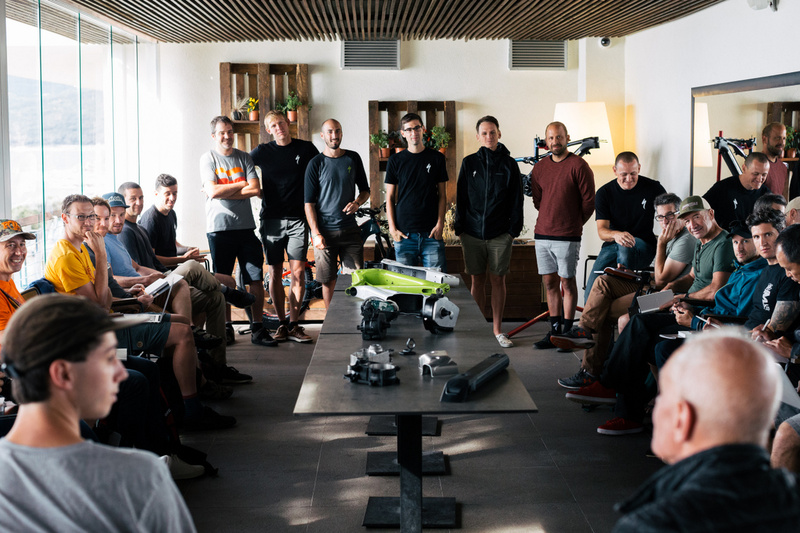 These are the leaders of the Specialized Turbo Levo development team. 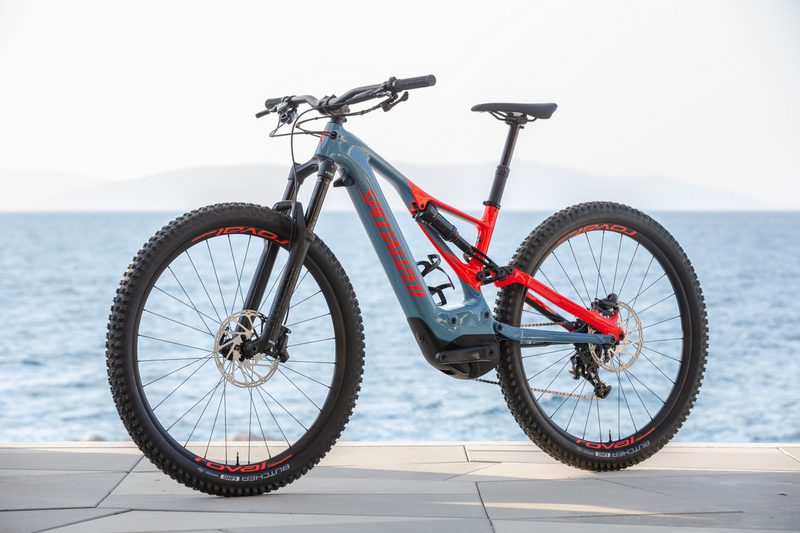 They’ve had a team 19 in Switzerland working on the new e-bike for the last three years. Weight has been decreased significantly on all models. And the bottom bracket area of the bike lost about 800 grams of weight making the bike more nimble. 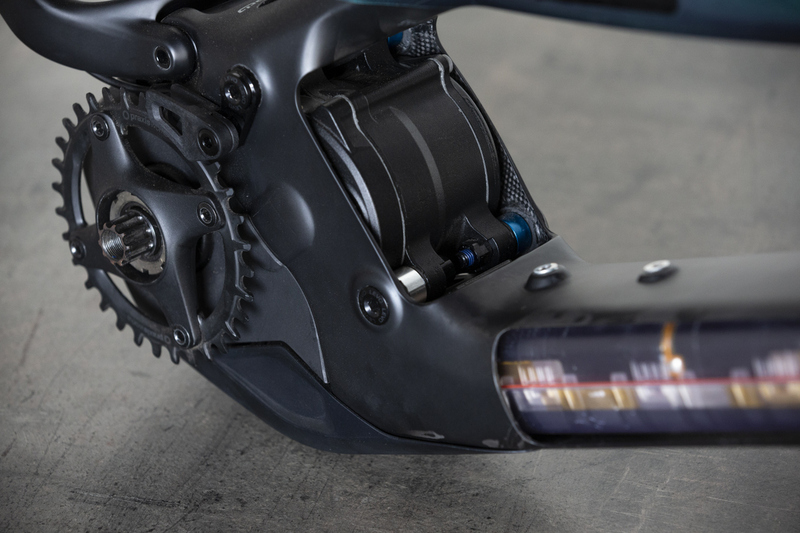 With the use of higher capacity 700Wh batteries on the S-Works and Expert Carbon models, 700 grams of weight is added back to the bike. 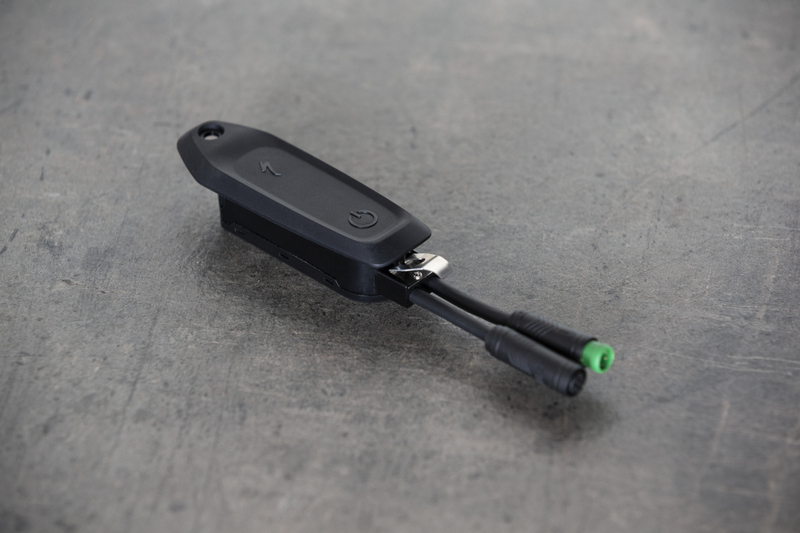 But since the batteries are exactly the same form factor, a rider can use the lighter 500Wh battery to save weight. 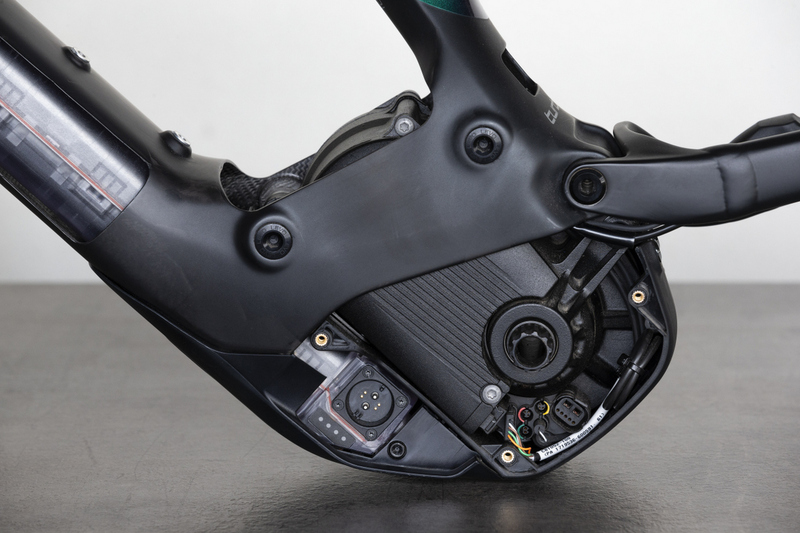 A key weight to note is an S-Works bike in size Large with a 500Wh battery weighs 44 lbs. 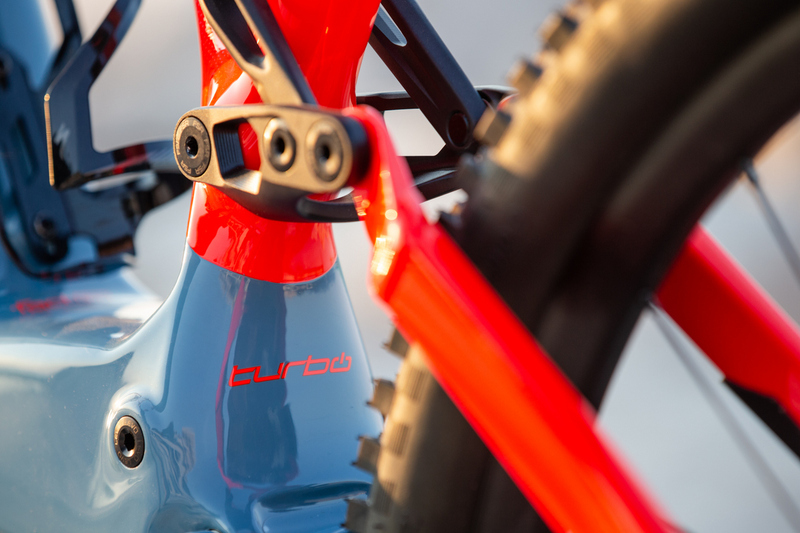 Taking a page from the Stumpjumper, the Turbo Levo is now a fully progressive trail bike that addresses the long and slack needs of today’s riders. 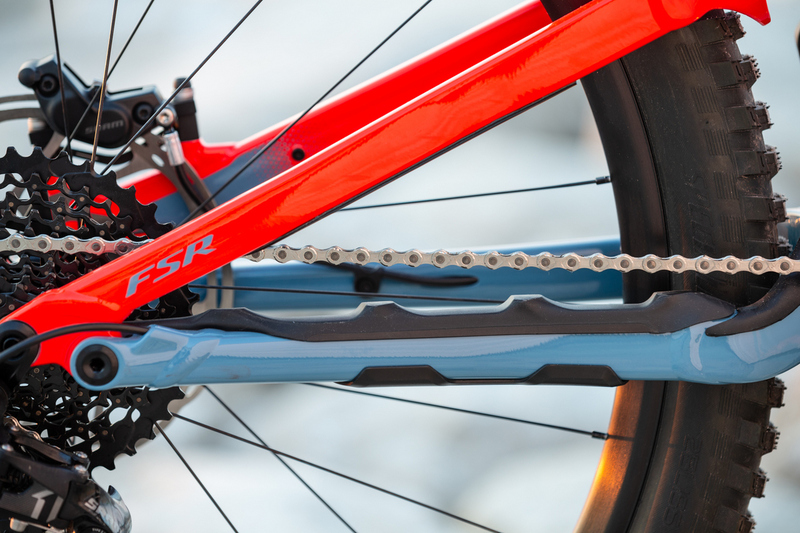 They’ve lengthened the reach, kept the chainstays short, and maintained a low center of gravity. 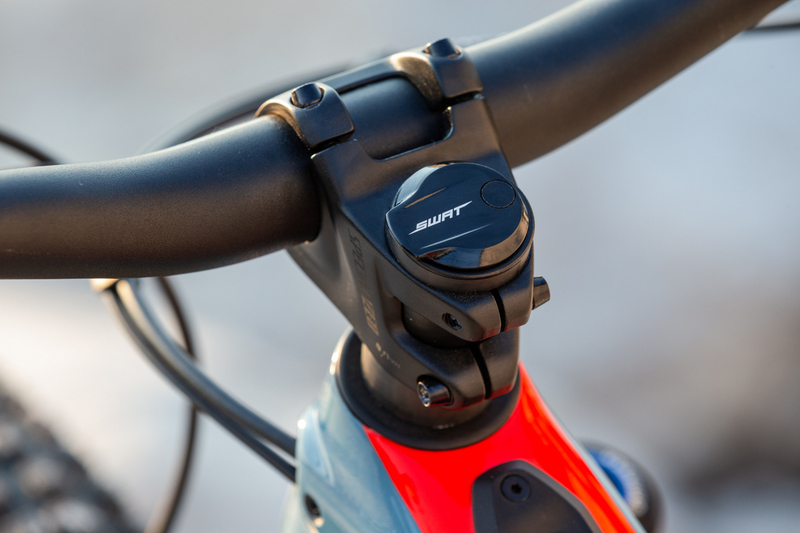 Next, the head angle was slackened for more confident descents and seat angle was steepened for climbing efficiency, with the saddle getting out of the way during descents. 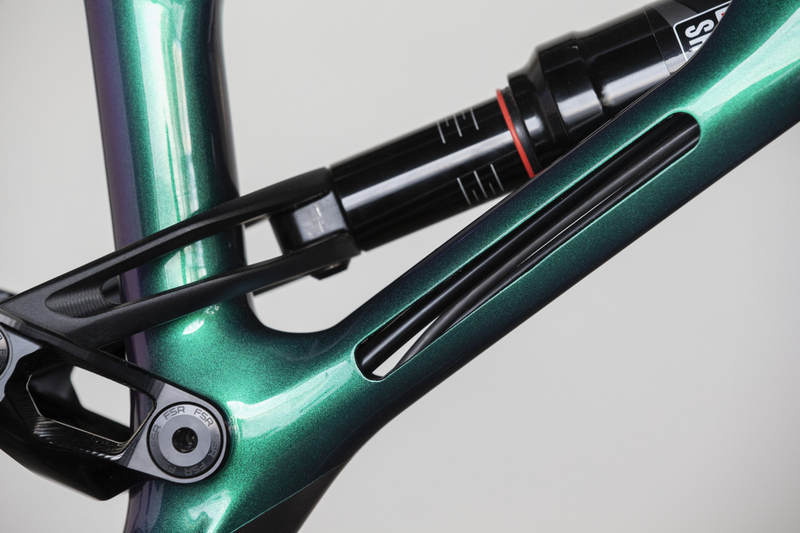 A new 160mm dropper was added as well as a flip chip so you can adjust your bottom bracket height and head angle to accommodate preferred riding style and wheel sizes. 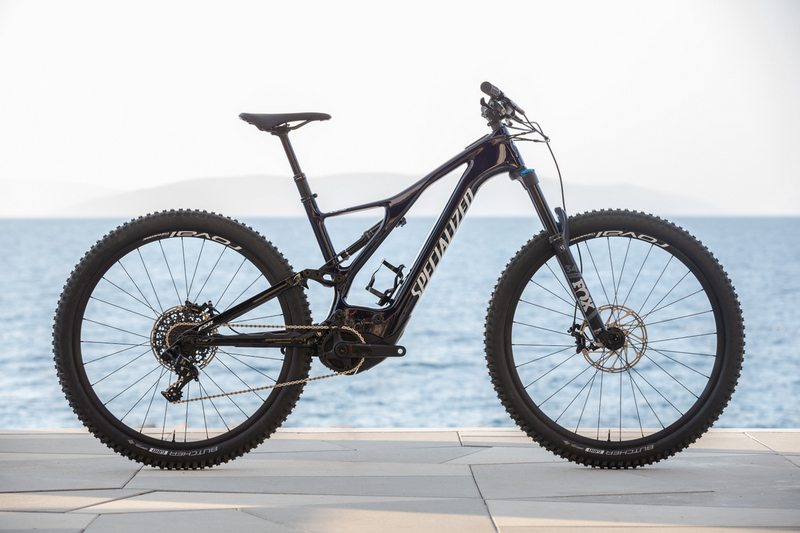 The new Specialized Turbo Levo offers 40% more range than the previous version. The battery is now fully encased to protect it from the elements. 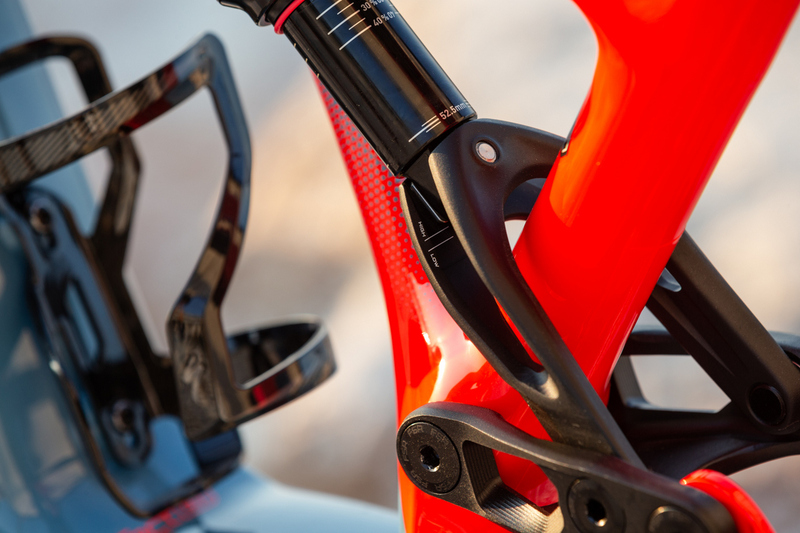 They also strategically placed the cells to provide the Turbo Levo with an ideal weight distribution for better handling. 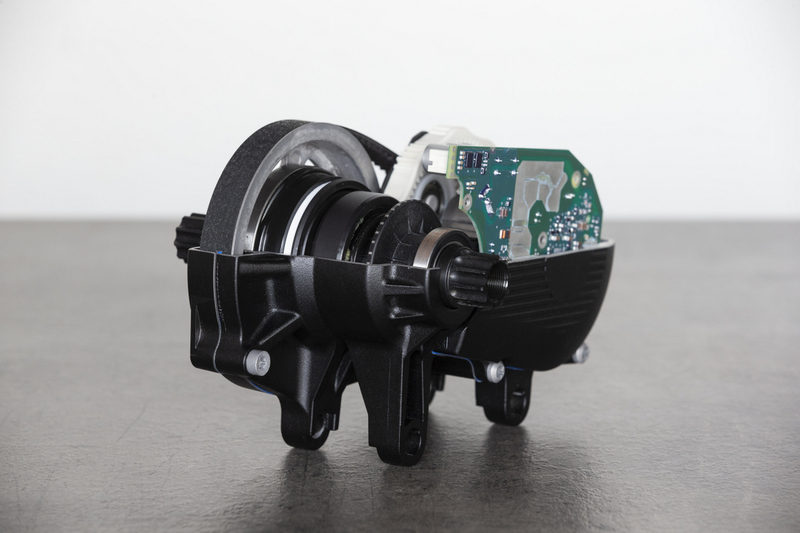 And the Battery Management System (BMS) regulates battery health, protects it from overcharging (or under voltage), and ensures that you get as many miles as possible during the life of your battery and maximum battery lifetime. 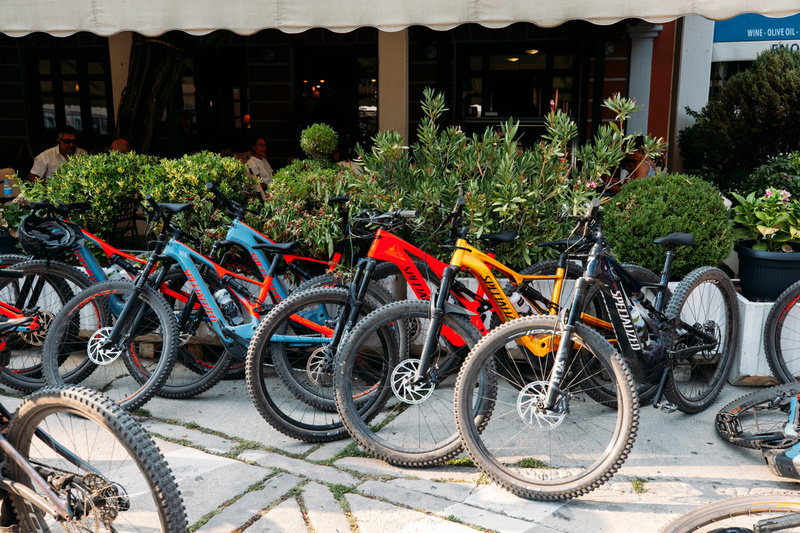 The lower priced Turbo Levo e-bikes will come with a 500Wh battery, while the S-Works and Expert Carbon will come with a 700Wh battery. The 700Wh has 40% more capacity but weighs 750 grams more than the 500Wh option. 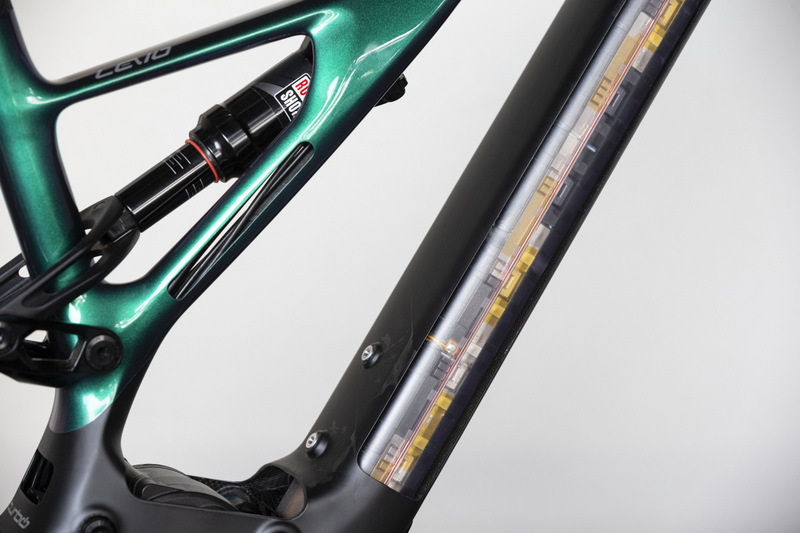 Now better placed on top of the top tube, the switch and Turbo Connect Unit sits to connect the bike (via ANT+ and Bluetooth) to both the outside world and the Mission Control App. 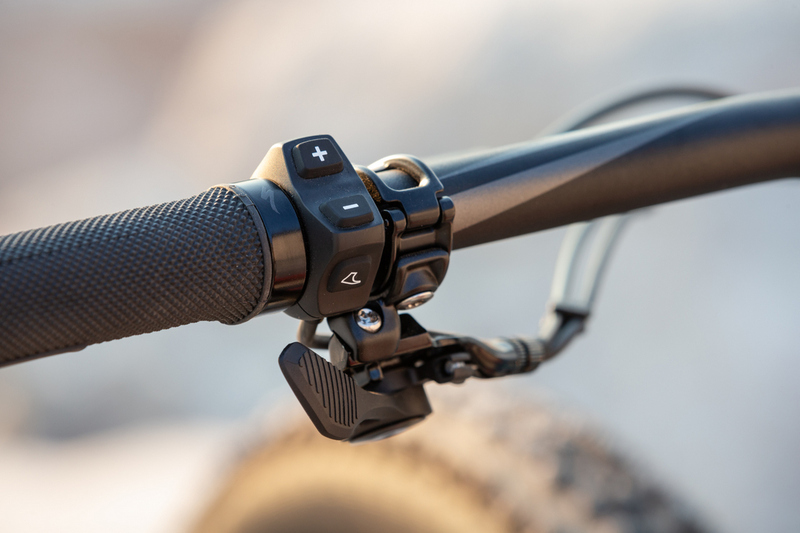 Mission Control can now customize motor characteristics, monitor your power use, control your range, perform basic system diagnoses, record, and upload rides. 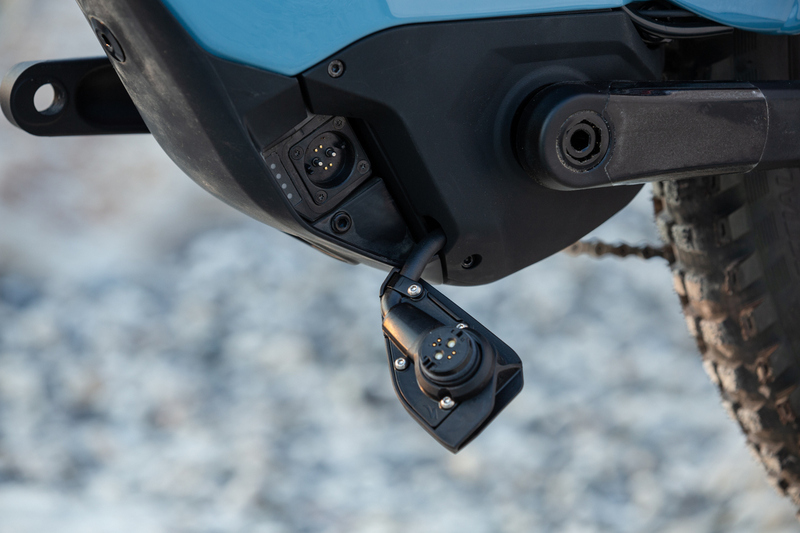 The on/off switch is in a much more convenient place for better access. And the switch and the battery level lights are now away from public view. The ride is impeccable! The descending performance is a few notches above the old Turbo Levo. 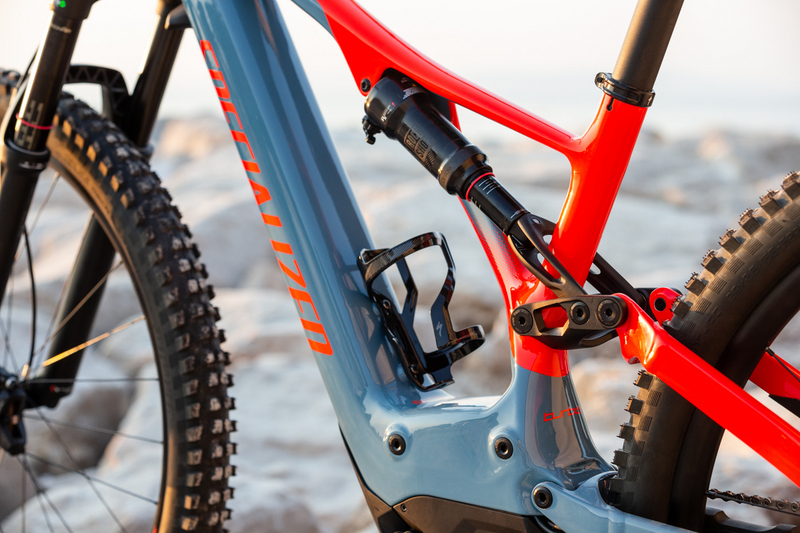 First and foremost, the bike has been updated from old Stumpjumper to the 2018 Stumpjumper geometry and fit. So all the benefits experienced there carry over to this platform. Next, the platform has shifted from plus to 29er. This translates to a more planted, communicative feel in more terrain. It also opens up more options for tire brands, tread and compounds. And finally, the weight is noticeably lighter. About 800 grams has been shaved from motor/BB area so the bike feels more nimble in tight, up and down terrain. Couple that with Fox suspension that is properly valved and supportive and it really climbs and descends with enthusiasm. 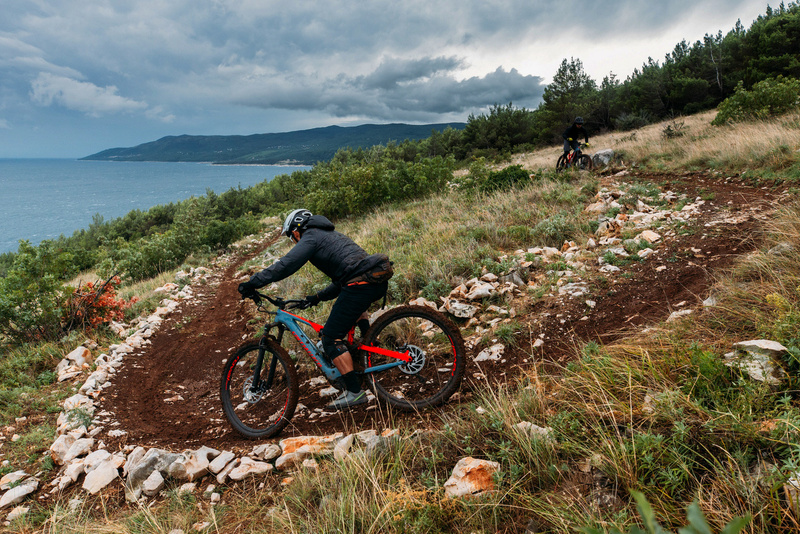 Mtbr test rode the Specialized Turbo Levo for two days in very varied terrain in Europe and this really is a complete, unprecedented package. The motor is quiet and it comes on and off almost incognito. Upon hitting the 20mph limit, it even knows if you’re coming up to it fast or just hovering around that point. 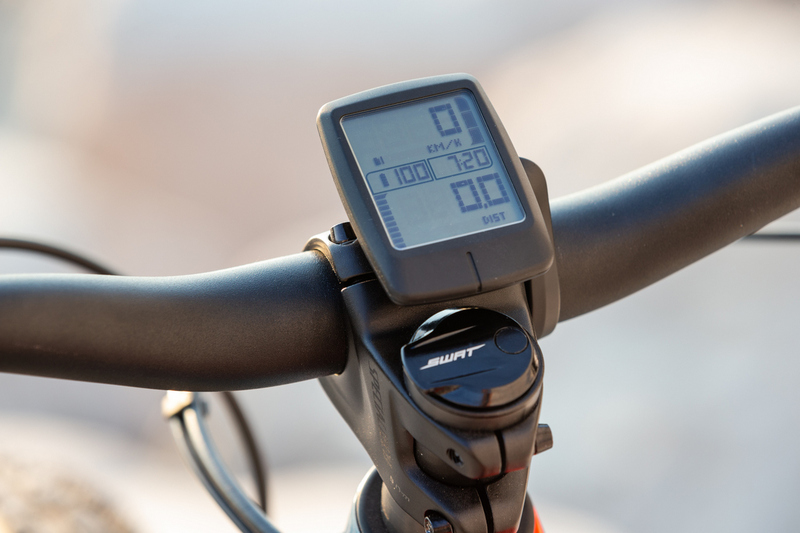 Thus it knows whether to shut down early at around 18mph or let you go to around 20mph. 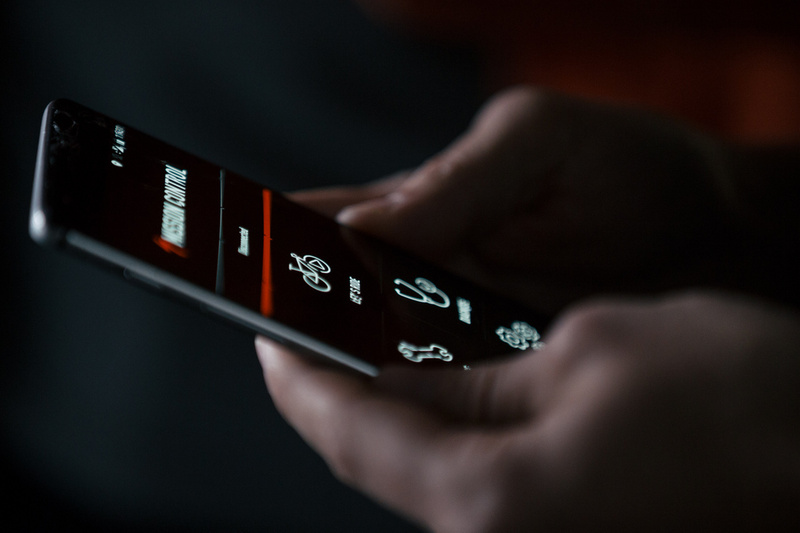 With the light weight, big battery, remote switch, display and app, it offers an ecosystem that is unrivaled. Go simple or go fancy, it’s all available to you. And something pretty remarkable is the family of Turbo Levos at different price points. 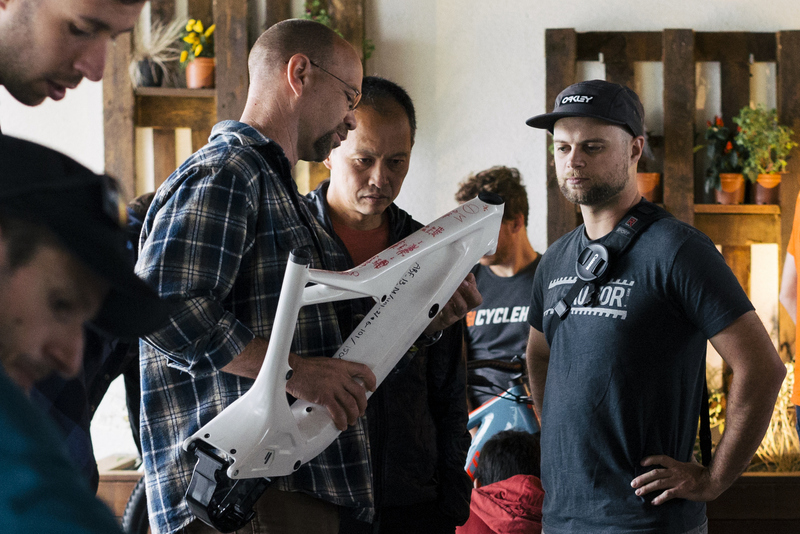 There are 5 bikes, from $4900 to $12,000, delivering a solution to most interested consumers. Nothing is perfect but we haven’t found a lot to gripe about with this bike during the three days we spent with it. One downside we’ll mention is this bike uses 1×11 SRAM with a 10-42 cassette. 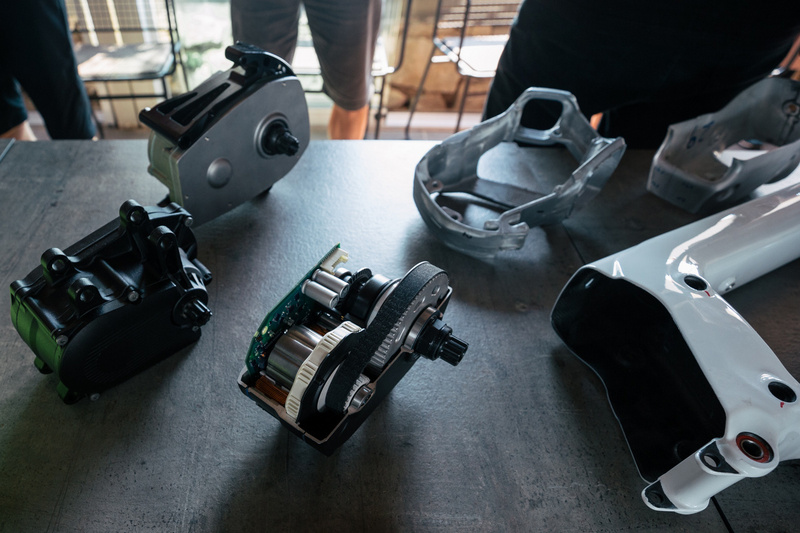 They did this to save weight since SARAM only allows the heavy Eagle NX 1×12 to be used on e-bikes. 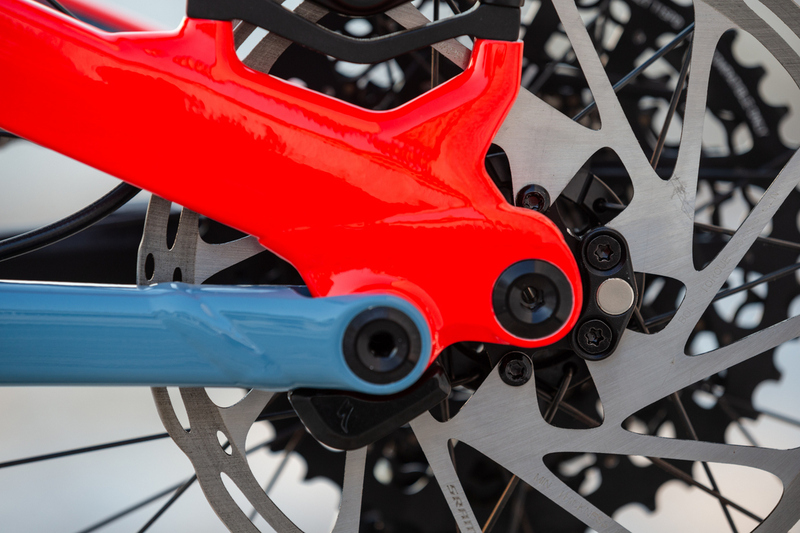 Specialized’s other rationale is the motor assist should be enough to allow riders to climb most hills with a 42-tooth cog. But in use, we found ourselves in the lowest gear a lot during the test rides and having to switch to a higher boost mode. Another downside is the expensive and lightweight models (S-Works and Expert Carbon) are only spec’d with the heavy 700Wh batteries. So much effort was spent lightening the bikes, yet these big batteries add about 750 grams of weight. They’re great for range but are overkill on 90% of the rides, especially weekday jaunts. It would be great to have a choice of batteries. And we would love a 350Wh battery option to get this bike closer to 40 lbs. And although the new 160mm travel Specialized dropper post is much better than the outgoing one, it is still undamped and indexed/noisy. Quite usable but not at the level of a Fox Transfer, BikeYoke Revive, or some of the other top dropper posts out there. And finally, the motor area looks quite big and tall. The reason is the motor has been tilted skyward to allow a battery entry/exit point at the bottom. One of the great things about this bike is there are 5 different price points. Thus many more budgets are allowed to participate. Here’s a rundown. Marketing manager Vernon Felton explains some of the frame nuances. 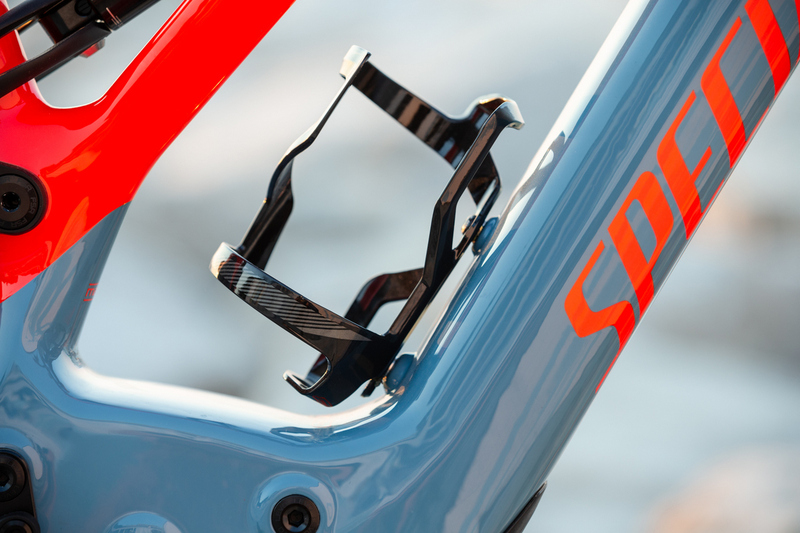 For more info on the new bike head to www.specialized.com. 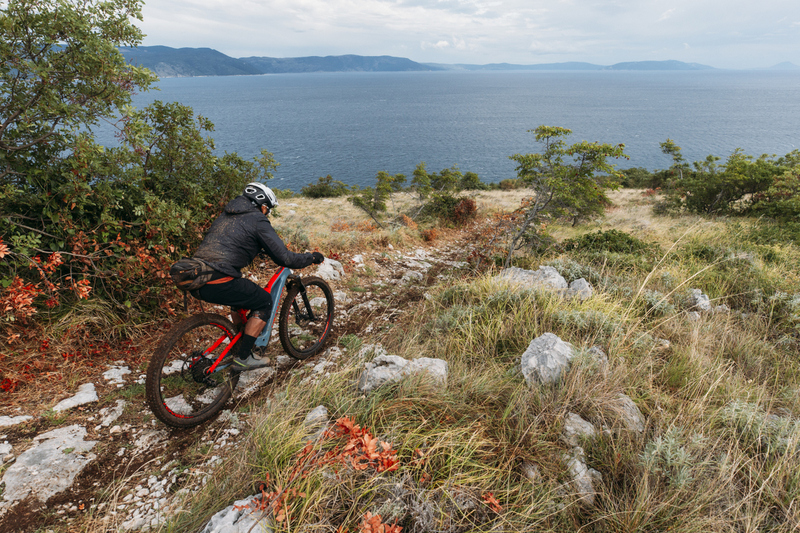 For an in-depth Q&A, click over to Page 2 of the Mtbr Specialized Turbo Levo first ride report. 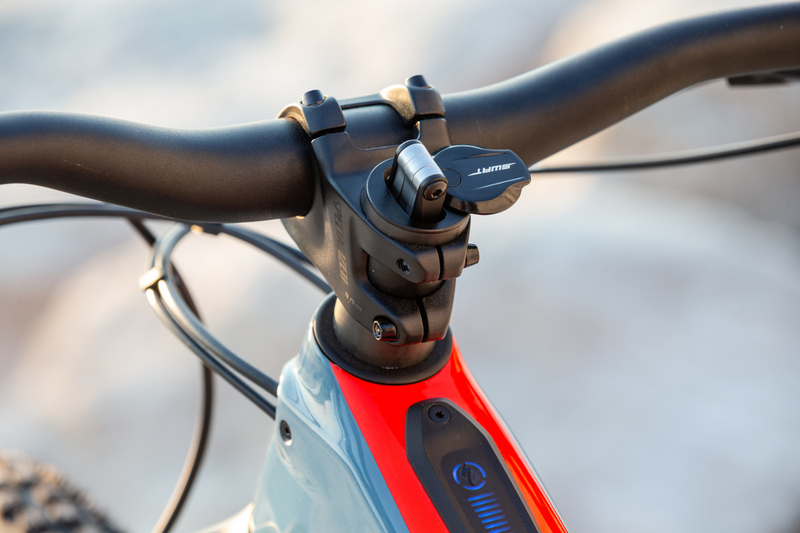 The all-important water bottle mount in the main triangle is a reality on this ebike. These are the leaders of the Levo development team. They’ve had a team 19 in Switzerland work on the new Levo for the last three years. My bike, which isn’t exactly a lightweight, has is 11-42, with a 32t up front, and I only use the 42 as a bailout gear, never even shift into it on 90% of my rides (almost all of my riding is in Tahoe, so the climbs are legit). I wouldn’t even consider buying a bike that has an Eagle setup. What’s the point of riding a motorbike if all the motor does is compensate for its own weight? Also, didn’t this used to be a mountain bike website? And/or a 250 Wh battery, a lower powered motor, and a bike closer to 35 pounds! 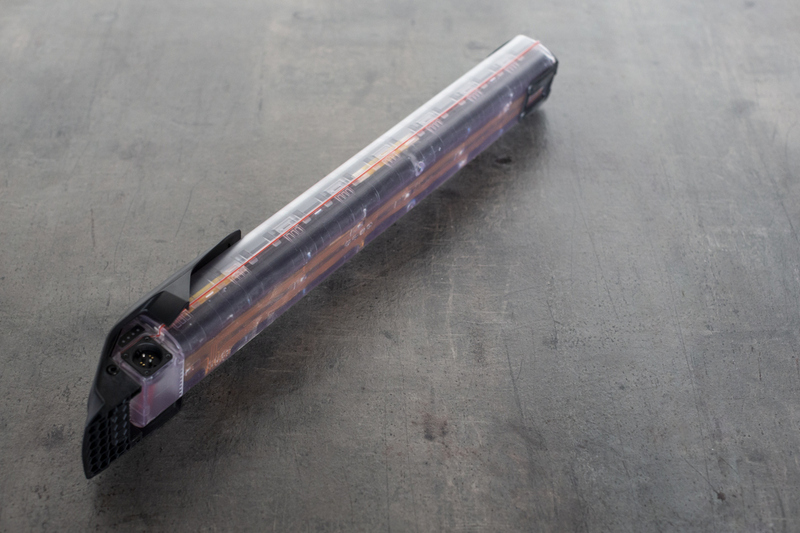 >> And/or a 250 Wh battery, a lower powered motor, and a bike closer to 35 pounds! That’s gonna happen. Modularity. If we had a 35 lber right now that is reasonably priced, many would purchase now. Not too much power but similar weight. It’s like having the best pedaling day all the time. An E-Bike is a Motorcycle NOT a Bicycle. So why are you posting motorcycles on an MTB website? 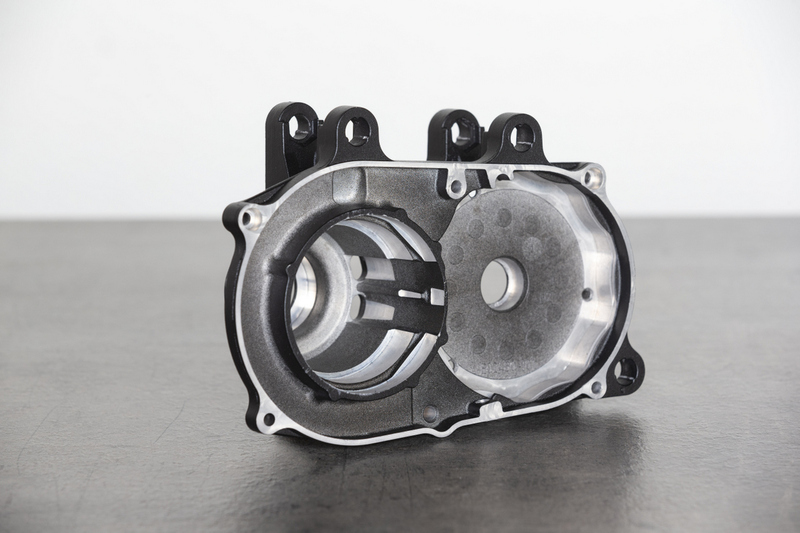 a Motor is a Motor – A motor on a cycle. How do you want me to say its NOT a motor . Ed, I’m assuming you’ve never owner or ridden dirt or street bikes if you believe E-bikes are comparative to motorcycles. Haha!! On your left! Have you ridden one? Ebikes ride like a mtnb, nothing like a motorcycle. Go ride an Ebike, then you’ll realise how puerile your remark was! ‘Further for Longer’ is the motto I hear, why wouldn’t you want do that? 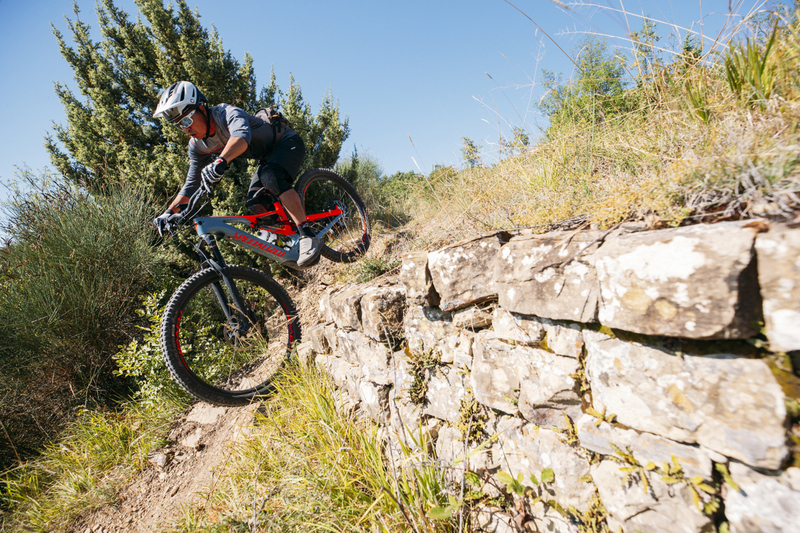 Clearly, you haven’t heard how many riders are saying they are fitter on their Ebikes as they ride more! If you don’t like the concept of an Ebike but aren’t willing to try one …then keep your irrelevant comments to yourself. Ya, a motorcycle with less than one horsepower and quieter than any existing internal combustion engine. Federal law calls it a bicycle , every state in America’s law says it’s a bicycle. The industry calls it a bicycle. Manufacturers say it’s a bicycle. he dictionary calls it a bicycle, riders call them bicycles. In fact the dictionary says if it has pedals it’s NOT a motorcycle. Not sure why your such a player hater, and I don’t care, but you are CLEARLY wrong about this. 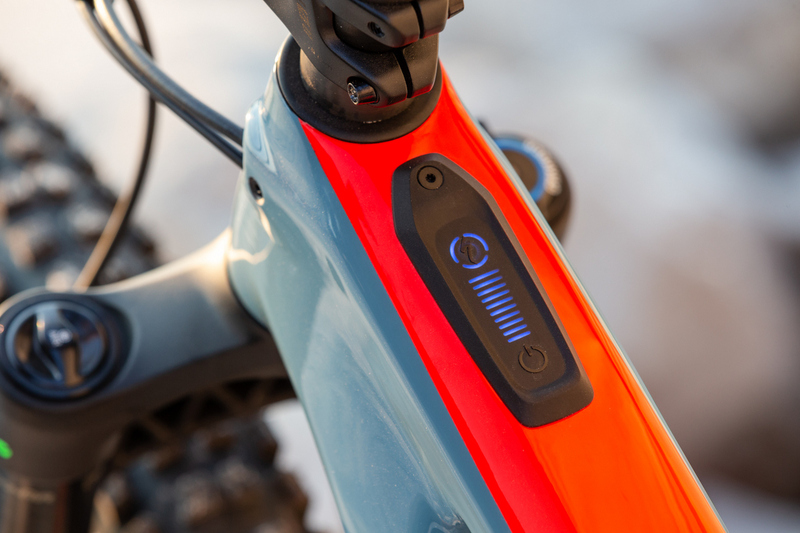 Yes, a battery that matches my average ride power consumption. 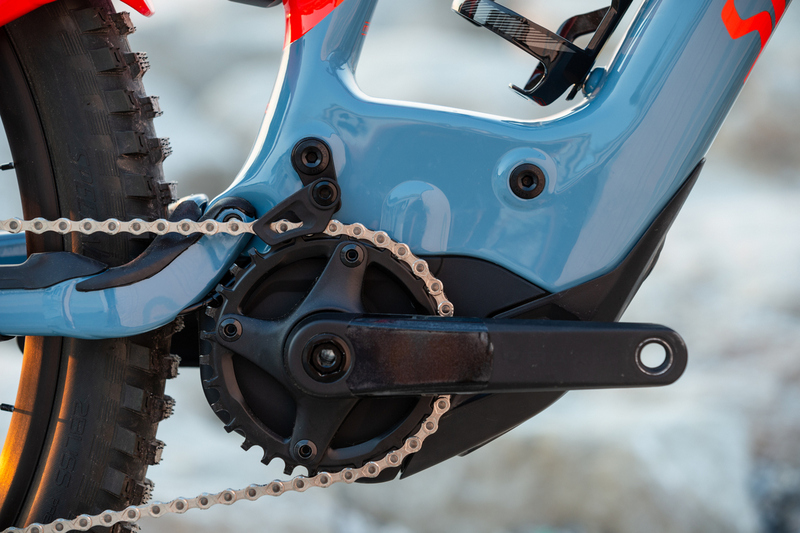 A drive train with a steel granny, to last longer. 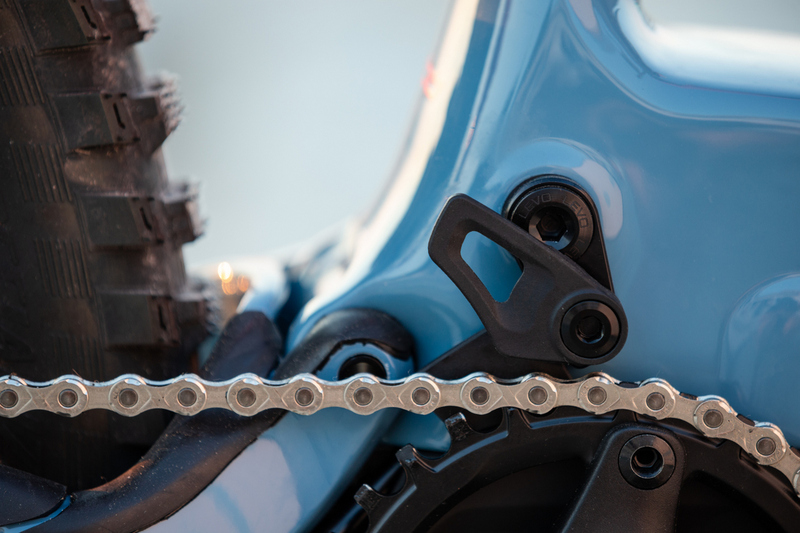 How about a built in chain wear indicator? 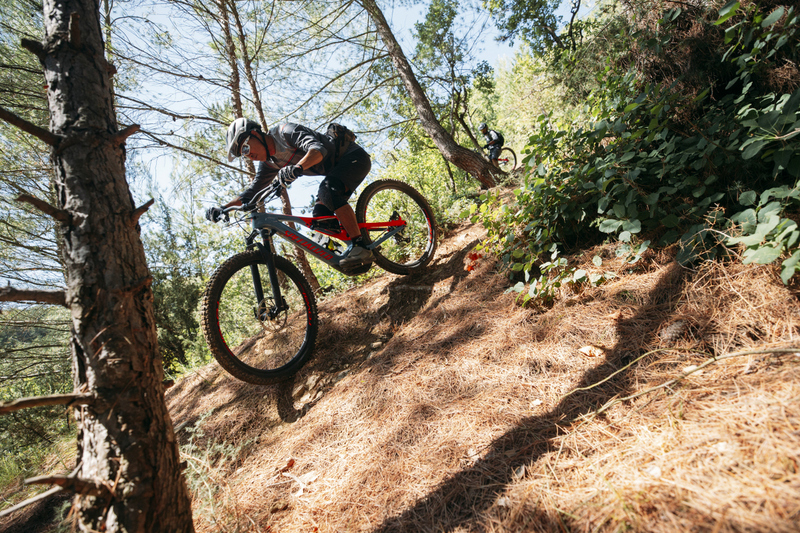 For all that believe E-bikes are motorcycles….please get out and demo an e-bike in the hills. They are far from a motorcycle. I own a Pivot 429, BMW R1200GS adventure and a 5.0 All Mountain Haibike. They all serve a purpose. If it’s not E-bikes, these haters are bitching about some other aspects in life. Born negative. Long live E-bikes and all the fun they bring to me and my Son. 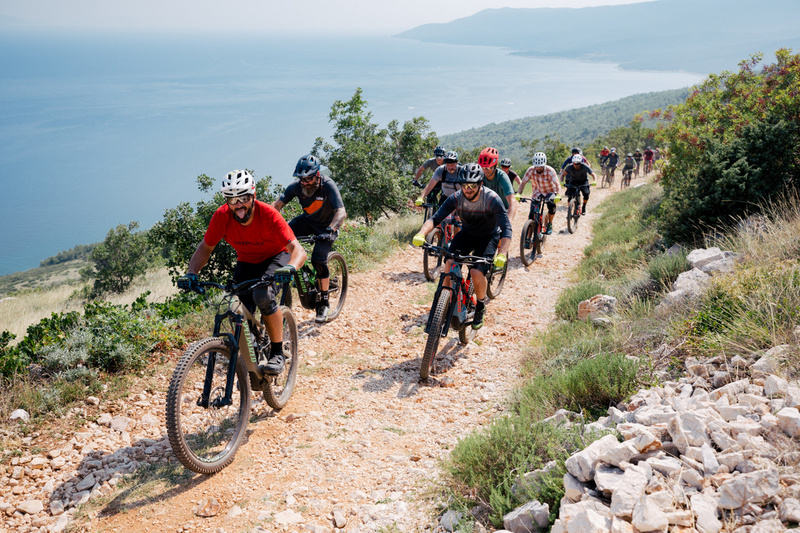 Ebikes are not motorcycles, but they are most certainly mopeds.Mountain bike associations have fought hard for trail access based on the fact that mountain bikes are not motorized equipment. 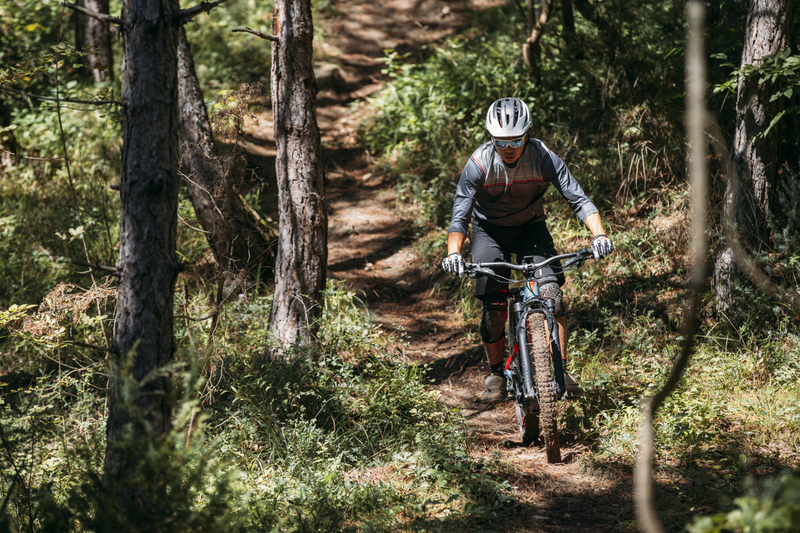 Hiking and environmental extremists have always tried to lump cyclists in with the ATV and dirt bike scene to make their point about trail erosion. Ebikes can stay in Europe. We don’t need the access headaches here in the states. 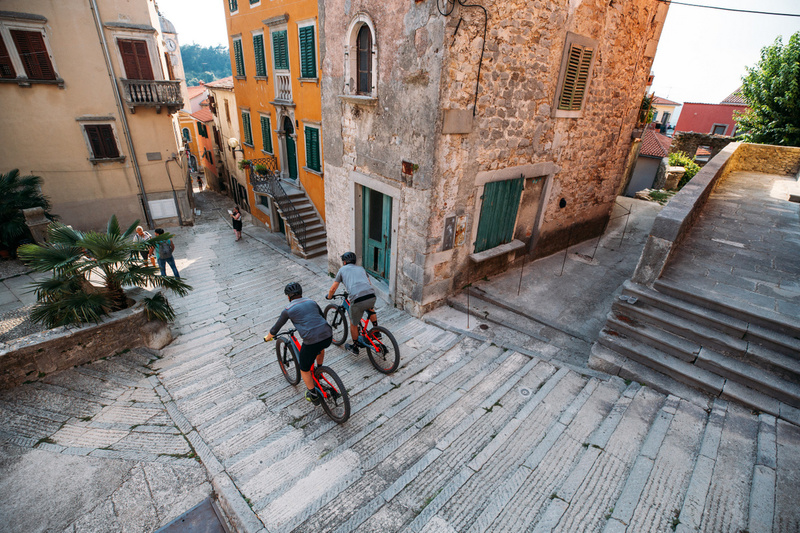 I love how all the ebike content starts to roll out (with electric assist of course…because climbing is hard) shortly after the nearly mandatory survey posted here recently. Apparently MTBR is willing to sell out their own sport in effort to grab more advertising revenue. Love how the technology will indeed get the ebikes down to 35 pounds. I give it 3 years max when we get down to that weight. Can you imagine 30 pounds? And watch the ebike market explode ten fold. 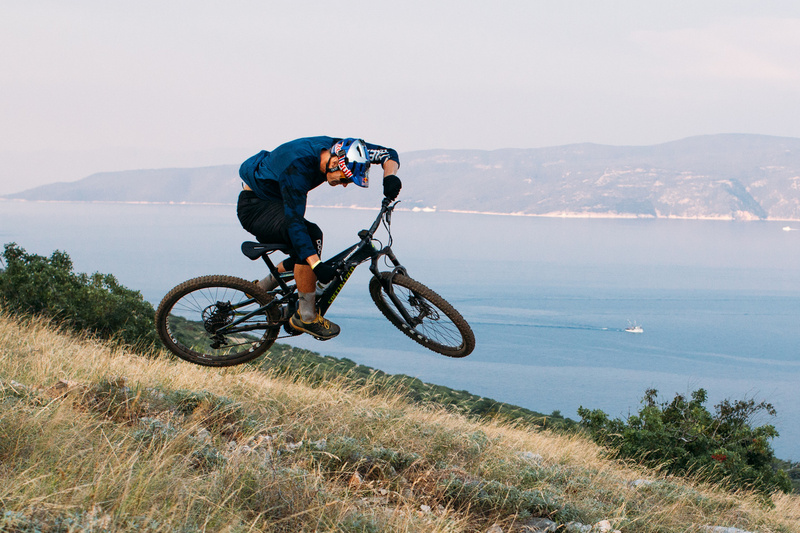 Everyone is going to be trading in their dinosaur mountain bikes for an ebike. What’s cool about ebikes is you get to say, “On your left” as you pass those out of breath non e bikers. Hmmm. 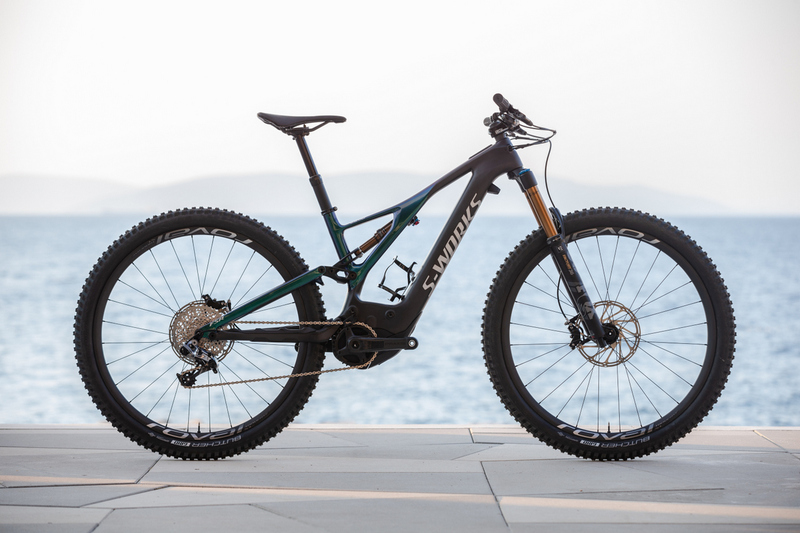 I better go talk to my broker about buying some stock in ebikes and the money I cash in I’ll grab me a high end Specialized Levo. Ebikes rule! just get a Zero electric REAL bike. are you having a bad day? Just wait soon or later these bikes become so cheap that even you will be able to afford one…Hold on! And the mad dash toward “pedal assisted suicide” as a user group continues on unabated. LOL! Now where did I leave that old Puch moped……. 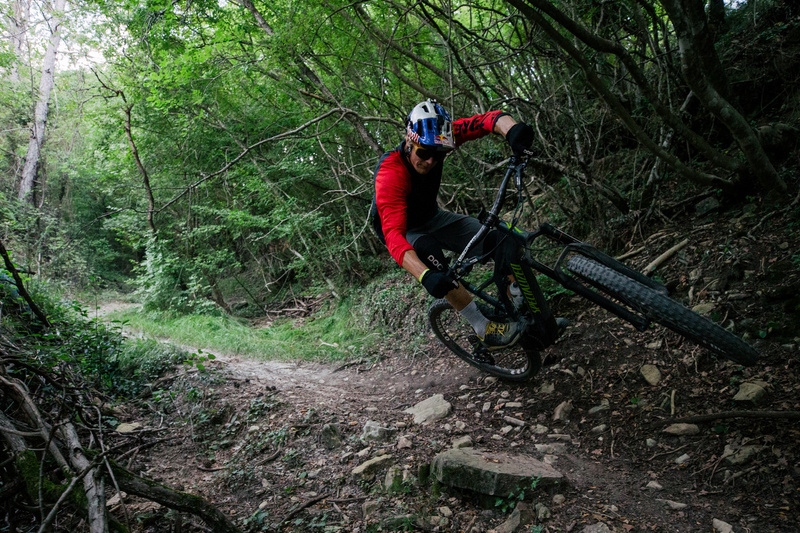 For old guys who were racing back in the 80s, an e-mtb is just the greatest thing. It brings back all of the fun and excitement. Sure, it has a motor, but it is not even close to being a motorcycle (which I also ride regularly). Don’t get hung up on the motor. Just ride. Jerry, You don’t have to be a previous racer to enjoy riding an E-Bike…just ride a demo and you will be sold. I started Mt biking in the 70’s and I own several Mt. Bikes. eMTBs are awesome, and they are putting so many people on bikes. they replace cars, they are better for commute even. They don’t do more trail damage than normal bikes. I don’t get why so many ignorant people would like to express their opinion. if you enjoy riding a REAL bike, go do it. not sure why you would prevent other people from enjoying riding their bikes. And calling them “motorcycles’ is just trolling. They are nothing like motorcycles LOL. Started riding dirt trails with Huffy single speed and coaster brakes back in the 50’s. I have loved all the bicycle advances like multi speed, shocks, disk brakes. Now I love my Haibike. 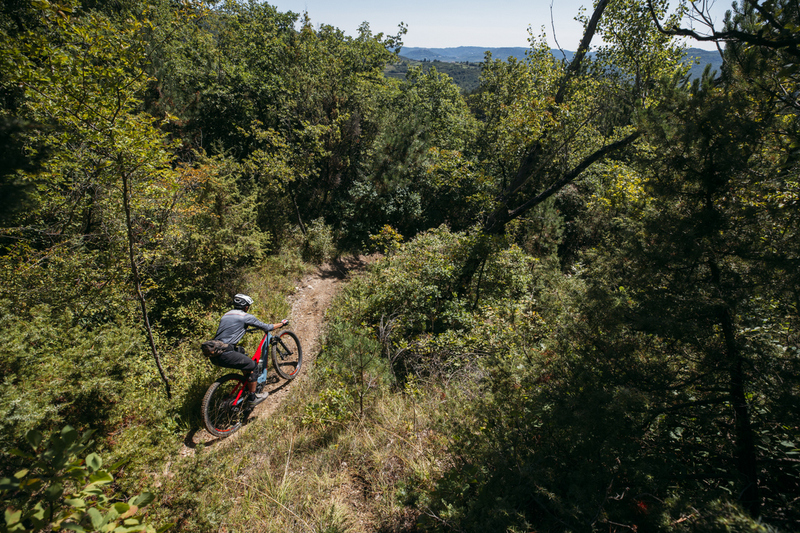 I am closing in on 2000 miles of single track in Tahoe and the Santa Cruz Mts. this year.That is 1000 miles up and 1000 down. That’s not bad for a old fart. Giving the Haibike to my wife and getting a Levo Expert.